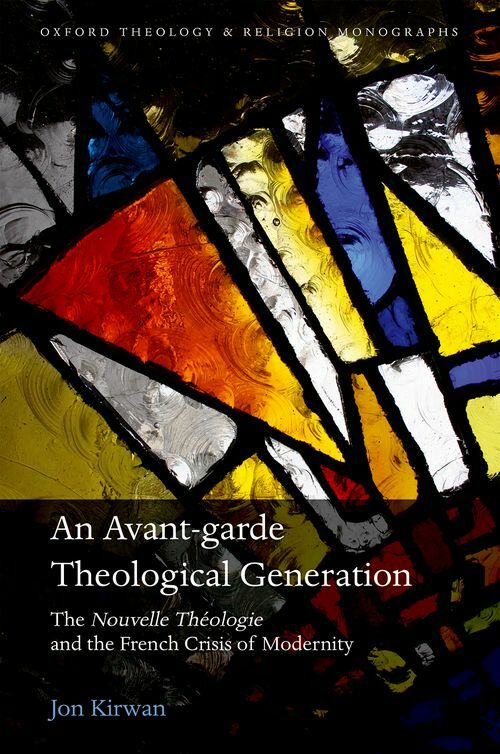 An Avant-garde Theological Generation examines the Fourvière Jesuits and Le Saulchoir Dominicans, theologians and philosophers who comprised the influential reform movement the nouvelle théologie. Led by Henri de Lubac, Jean Daniélou, Yves Congar, and Marie-Dominique Chenu, the movement flourished from the 1930s until its suppression in 1950. It aims to remedy certain historical deficiencies by constructing a history both sensitive to the wider intellectual, political, economic, and cultural milieu of the French interwar crisis, and that establishes continuity with the Modernist crisis and the First World War. Chapter One examines the modern French avant-garde generations that have shaped intellectual and political thought in France, providing context for a historical narrative of the nouvelle théologie. Chapters Two and Three examine the influential older generations that flourished from 1893 to 1914, such as the Dreyfus generation, the generation of Catholic Modernists, and two generations of older Jesuits and Dominicans, which were instrumental in the Fourvière Jesuits' development. Chapter Four explores the influence of the First World War and the years of the 1920s, during which the Jesuits and Dominicans were in religious and intellectual formation, relying heavily on unpublished letters and documents from the Jesuits archives in Paris (Vanves). Chapter Five analyses the crises of the interwar period and the emergence of the wider generation of 1930—to which the nouveaux théologiens belonged—and its intellectual thirst for revolution. Chapter Six examines the emergence of the ^ ressourcement thinkers during the tumultuous years of the 1930s. The decade of the 1940s, explored in Chapter Seven, saw the rise to prominence of the members of the generation of 1930, who, thanks to their participation in the resistance, emerged from the Second World War, with significant influence on the postwar French intellectual milieu. Finally, the monograph concludes in Chapter Eight with an examination of the triumph of French Left Catholicism and the nouvelle théologie during the 1960s at the Second Vatican Council.